Karen belongs to the First Congregational Church of Cheshire. Along with other church members, she has served Communion to her church family as a Deacon, taken care of the children in Sunday School, and been to Leadership Training to help start the Stephen Ministry program. Karen and her husband were blessed with 3 beautiful children now adults and 2 wonderful grandchildren. She love crafts and is always looking for new ideas. In her spare time, she restores her 1732 home with her husband. It is both an honor and a pleasure to serve as co-vice president of CT Women of the UCC; I have enjoyed serving for 5 years as a member of the service committee, and before that I was active in Eastern District. I graduated from Catawba College in Salisbury, North Carolina (a UCC affiliate), and am a member of North Stonington Congregational Church where I served as Stewardship Chair for over 20 years. I serve the Mystic Area Ecumenical Council as a church rep and currently am their President. I chair the church Fundraising Committee, serve on Women’s Fellowship and Publicity, Mission Committee, CWS CROP WALK and other special events. I am married to Richard B. Evans who is semi-retired and a mathematician. Their 3 children are Everett, who recently passed away after a long respiratory illness, Helen (41) who still lives at home and attends a work program and Tom (38) is an engineer, married to Maya Bhat, with our 2 grandchildren, Naveen (5) and Priya (3). 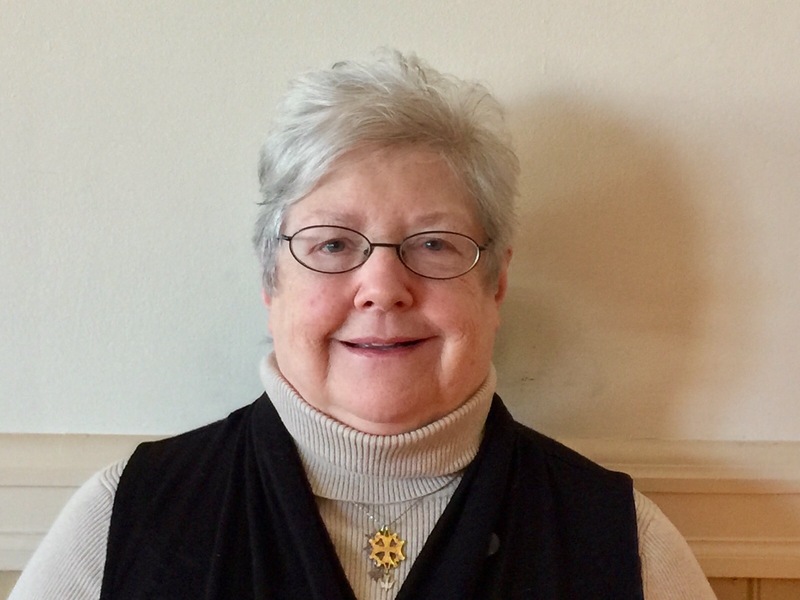 Currently in North Stonington I volunteer for Habitat for Humanity of Eastern CT on the Faith Engagement Committee; and have been a Girl Scout leader for 30 years, organizing and starting new troops and programs. I was formerly the Area Girl Scout Service Unit Manager for 10 years, and worked at Camp Pattagansett in East Lyme for 13 years. She is generally busy with church work: stewardship, fundraising and volunteer driving. Let us know! Just fill out this form, and we’ll be in touch with you soon!